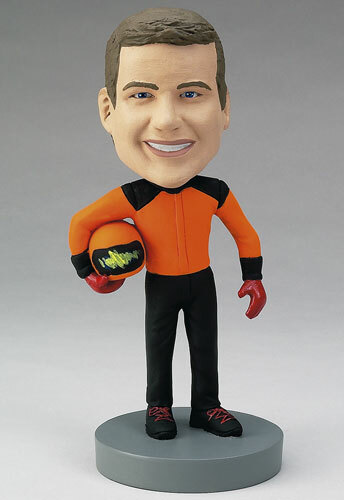 This custom bobblehead is a great present for children with high-octane dreams of being a racecar driver. Make his uniform his favorite colors and include a cool design. Personalize this bobblehead as well for any racing fans you know, utilizing the special instruction box to make the uniform look like that of his favorite driver.